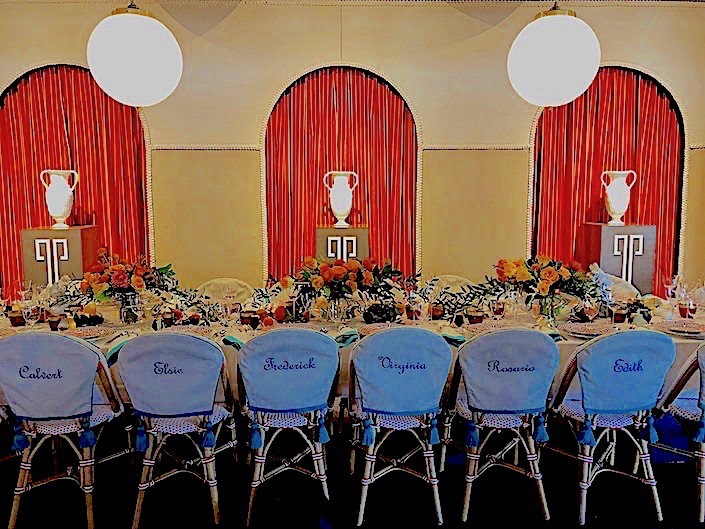 Imagining a fantasy dinner party including luminaries of literature and design, they created tasseled chair covers (expertly executed by Anthony Lawrence Belfair, the firm who beautifully reimagined my borne settee) with the names of such legends as Frederick Law Olmsted, Virginia Wolf and Rosario Candela (Peter will be designing the upcoming exhibit at the Museum of the City of New York on the iconic NYC architect). As Peter explained “Every one of our projects is a convergence of scholarship and creative invention.” And the firm’s Dining by Design space was no exception, with walls clad in Sunbrella Heritage, highlighted by custom Remains lighting and articulated by arched openings backed with curtains in Sunbrella’s timeless Harwood Crimson stripe. 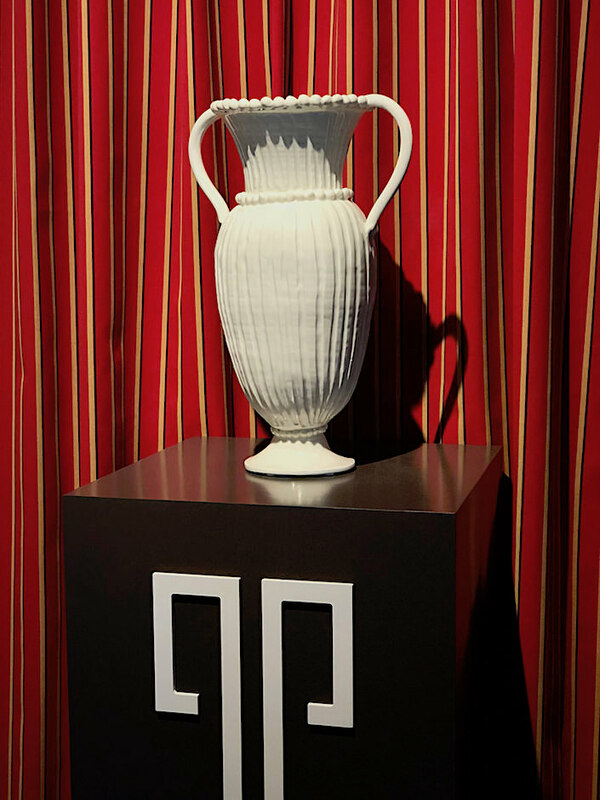 Known for their fresh reinterpretation of classic design, Peter and Alice created plinths with an elegant Greek revival motif upon which sat three urns of substantial stature, custom created by potter Frances Palmer for the space. 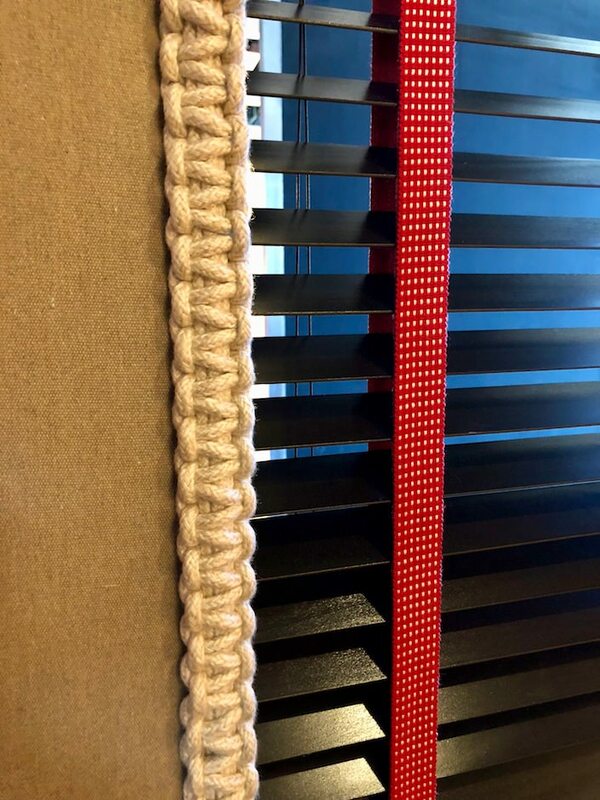 Around the arches and windows at either end, was a paracord trim, created from 100 yards of Sunbrella material. Originally made for military use, paracord was a decorative survival tool. Worn around the wrist, it could be unwound and utilized for everything from a rescue line, to rope handcuffs, to a sling or splint and even as sutures if unravelled to access the inner threads. Here it functions as a mere decorative design, delineating the windows with wit and whimsy. 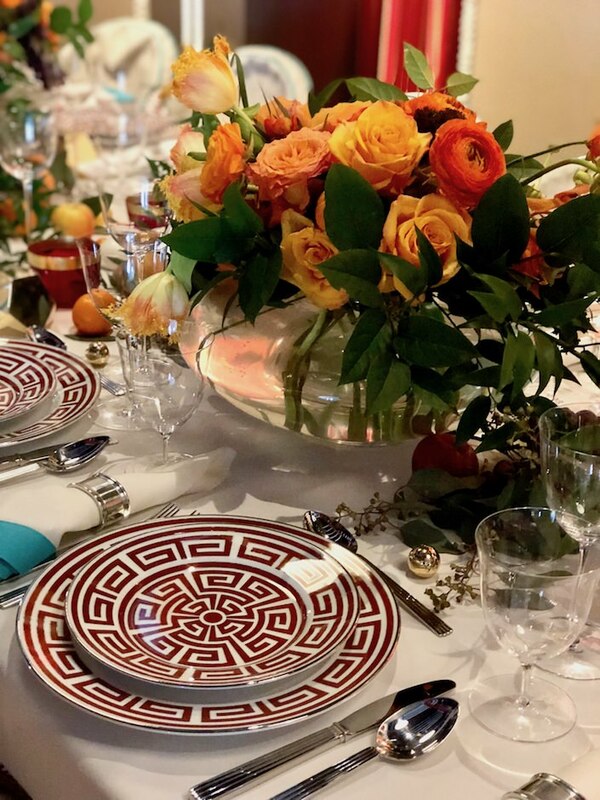 The table was a layered vision of color and pattern, anchored by Ginori‘s graphic Labirinto (an archival design by Gio Ponti). Beautiful crystal by Lobmeyr and flatware from Georg Jensen added elegant sparkle to the sophisticated setting. And Peter had handsome Czech cubist brass paperweights made as parting gifts, custom crafted by his frequent bespoke hardware partner, Lowe. Bodrum napkins, Match Pewter napkin rings and AERIN placecard holders and salt and peppers added to the mix. anchored by Christopher Flach sculptures from Gerald Bland. 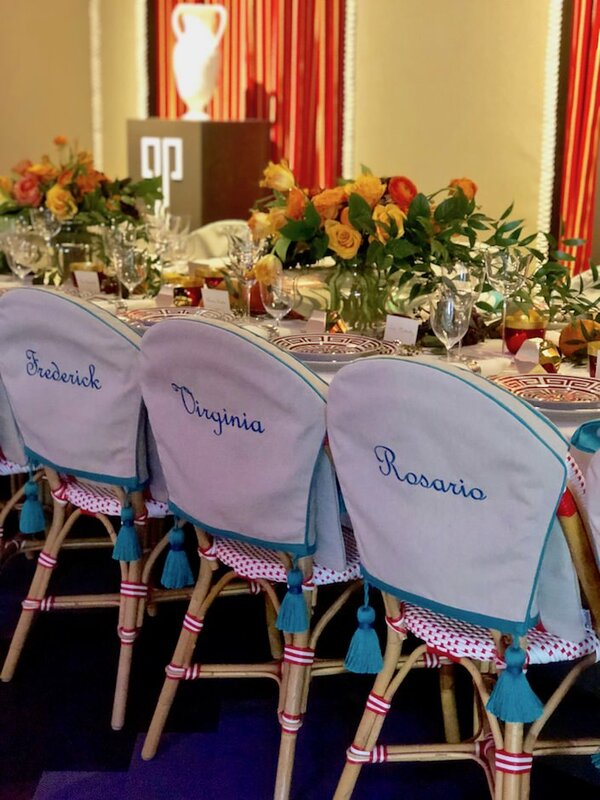 Many thanks to Peter Pennoyer and Sunbrella for including me. It was a wonderful evening of creativity and camaraderie. 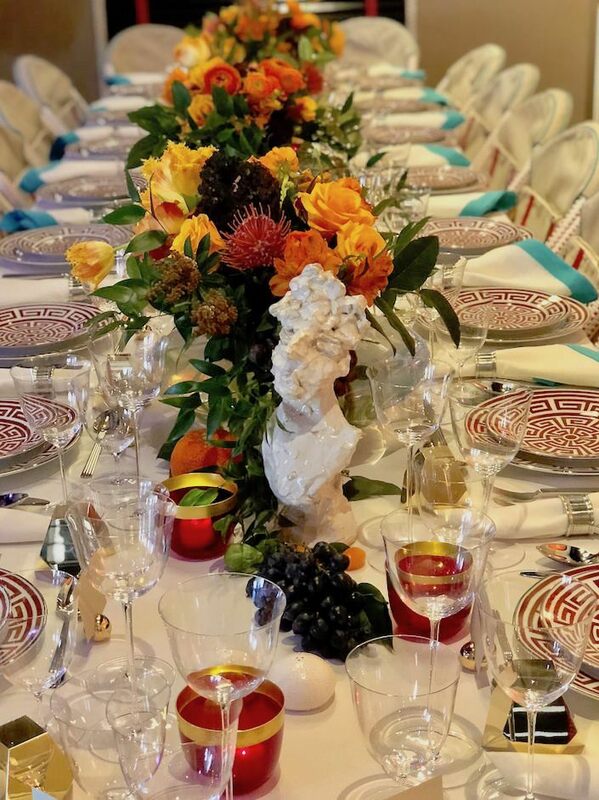 For more inspiration from Peter Pennoyer, tag along for a video visit to his and wife, designer Katie Ridder’s, amazing country home. 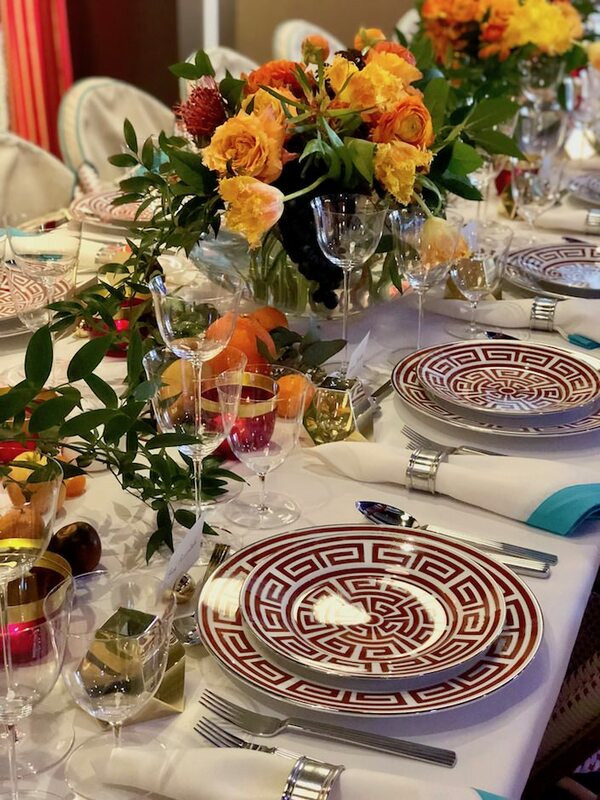 Stop back next time for more tables from Dining by Design and in the meantime, you can stop by to watch Susanna’s and my live feed from the evening’s festivities! This entry posted in design, interior design. 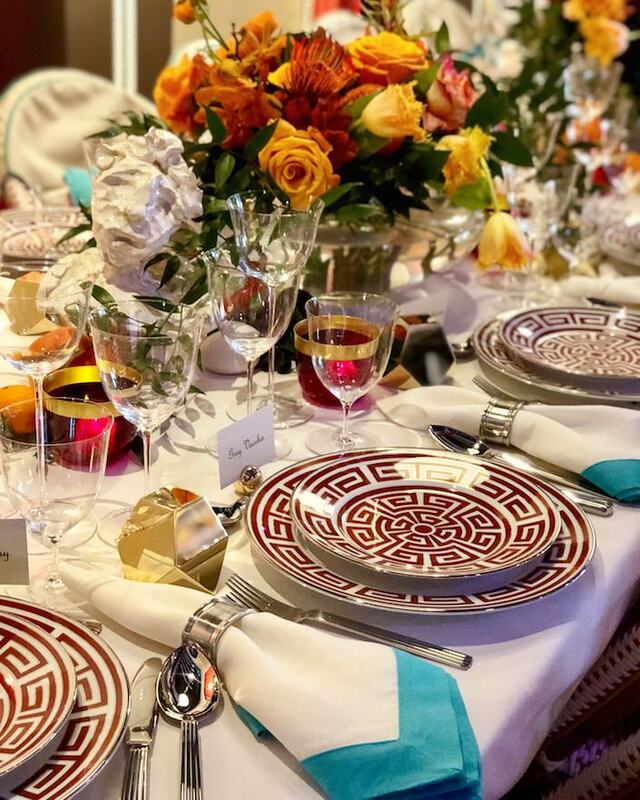 Entry Tags: DIFFA, Dining by Design, interior design, Peter Pennoyer, Tabletop Bookmark the permalink. Enjoyed this as well as your live feed on Instagram. Love the info about the paracord! I keep coming back to this to look at all the details. Thank you! 81 queries in 0.838 seconds.